WOW! Women On Writing Blog: Let it build! As a writer, there are many ways you can tell your story. 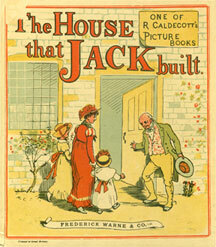 One method that is often used in traditional stories is known as "repetition." This is where actions and words are repeated to create your story. However, there is also a variation known as the "cumulative" story structure or a "chain story." It is where the character repeats the same actions and/or words but with each repeat a little extra information is added. As you can see more detail is added to the previous sentence, creating a story kids love. Another equally famous cumulative story is There Was an Old Woman. The story starts with the old woman swallowing a fly. She then swallows a spider to rid herself of the fly. She then swallows a bird to rid herself of the fly. As the story progresses the animals the old woman swallows get bigger. They include a cat, dog, goat, cow and finally a house. Which brings the story to an abrupt end because "she died of course!" I'm hoping you can see the possibilities this type of story offers a picture book writer. If so and you'd like to give it a go then why not read a few books written using this structure for inspiration. The following link provides a great list of books you may wish to start with: http://www.goodreads.com/shelf/show/cumulative-tales. 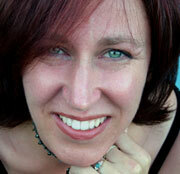 Lynne Garner has been a freelance writer and author since 1998. Since that time she has written for a large number of magazines both in the UK and the US. She has 21 books published; this includes three picture books, with a fourth to follow shortly. Her first title ‘The Best Jumper’ was recorded for the CBeeBies children’s radio channel (part of the BBC) whilst ‘A Book For Bramble’ has been translated into five languages including Korean and Indonesian. Both start on Saturday, August 4th. Classes are limited to 15 students.